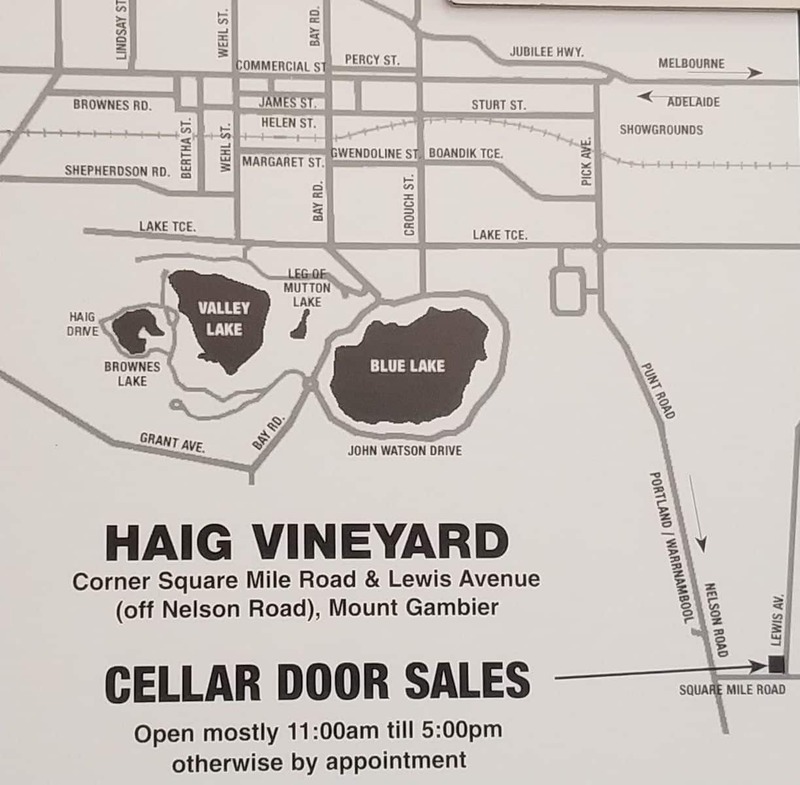 Haig Vineyards is one of the wineries located in Mount Gambier’s vibrant wine growing region. The winery is southeast of the ionic Blue Lake, just a few minutes away from Mount Gambier. It’s the first commercial winery in the area, having been established back in 1982. They grow Chardonnay, Cabernet Sauvignon, and Pinot Noir wines; varieties that grow well here thanks to the climate and rich volcanic soil. Visitors are invited to try the various wines, and perhaps take home a bottle or two that you love. Drop by the cellar door, open daily between 11:00AM and 5:00PM; ample time to savor the fine wines. So, whether you would love to take on the Late Harvest Chardonnay, or prefer a glass of shiraz for an easy afternoon, you will be spoilt for choice with all that Haig Vineyards has to offer. Haig is also nearby many of the region’s most beautiful attractions. While you’re there, check out the Blue Lake, one of the top destinations here. It features a picturesque lake, volcano mountain, and a cave for outdoor lovers looking for adventure in the heart of Mount Gambier. Other attractions nearby include the Piccaninnie Ponds Conservation Park for snorkeling and the awe-inducing Umpherston Sinkhole, which consists of a sunken garden with beautiful lookout points. It is never a dull day when you visit Haig Vineyards. 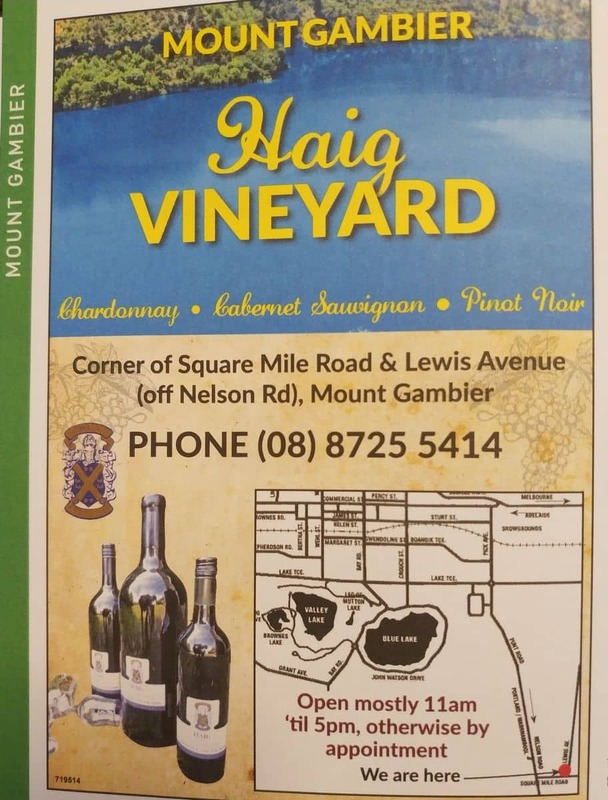 The winery is located at the corner of Square Mile Road and Lewis Avenue in Mount Gambier. The vineyard makes for a relaxing trip with friends and family.